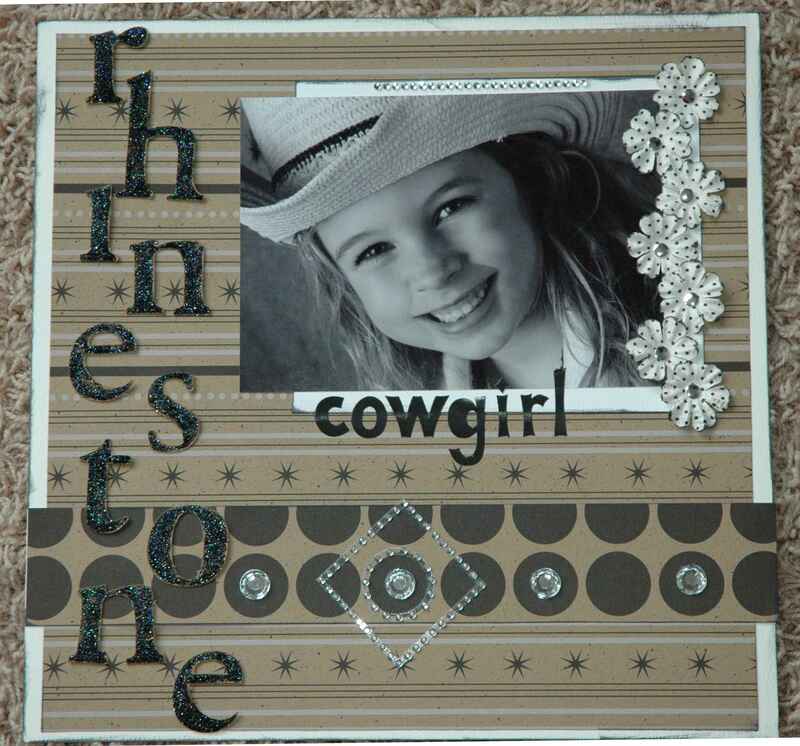 I would love to share with you some other layouts and cards made with Jillibean Soup products. This is a layout from my friend Missey. 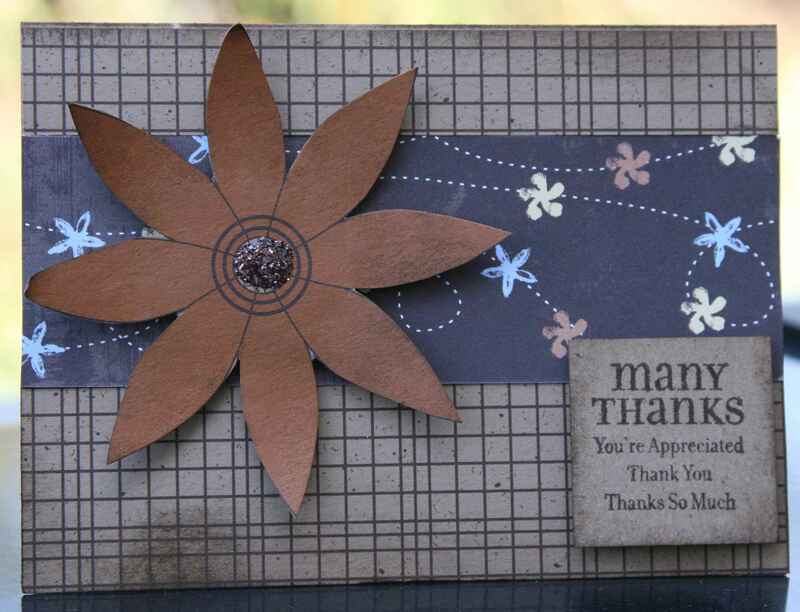 She used a couple of papers from the Blackbean collection for this one. I love the b/w photo on this paper! Love the bling too! 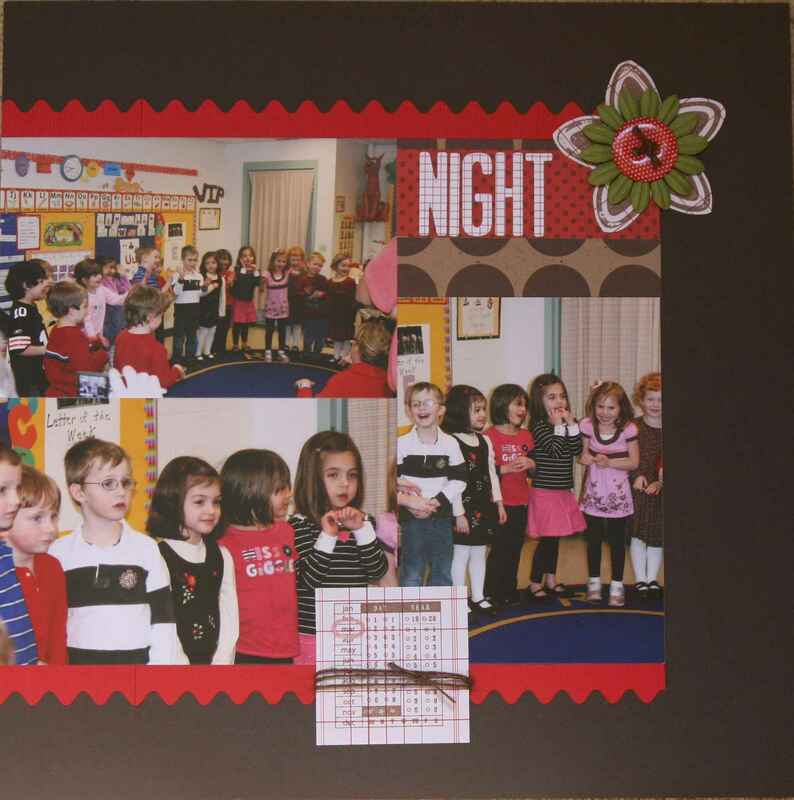 Cute layout Missey, thanks for sharing!!! This is an adorable card from Jana. 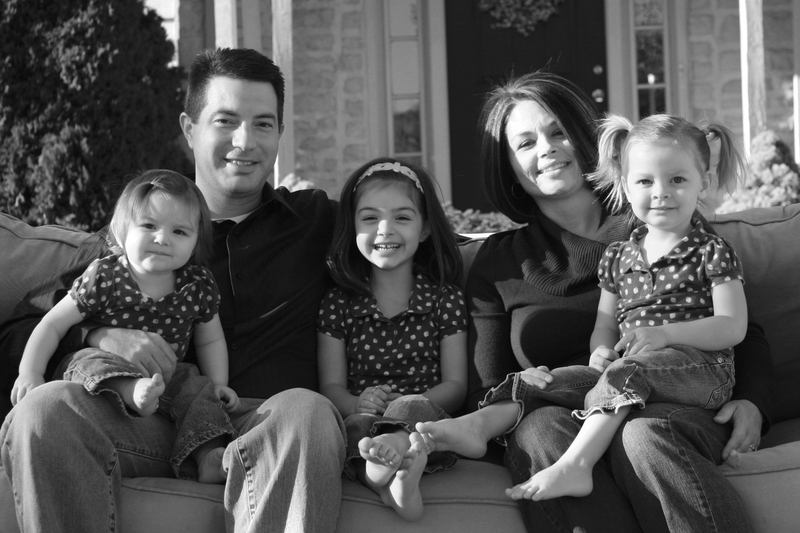 🙂 Cute story about Jana…I met her at a jewelry party at Missey’s. Missey shared my paper with the group at the party. Jana was so excited and loved it. She doesn’t know it but she totally made my week that week. Her timing couldn’t have been better. Thanks, Jana. Again, Jana used the Black Bean collection. 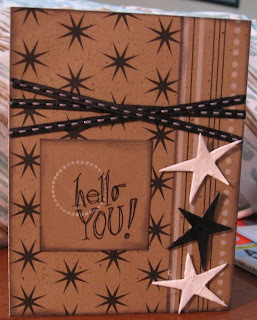 I’m all about “wrapping” cards, pics and layouts lately…I take twine and wrap it around the card or pic several times. I’m sure you’ve seen it in some of my posts lately. Another cute layout from Missey. I like the tabs on the left of the photo. 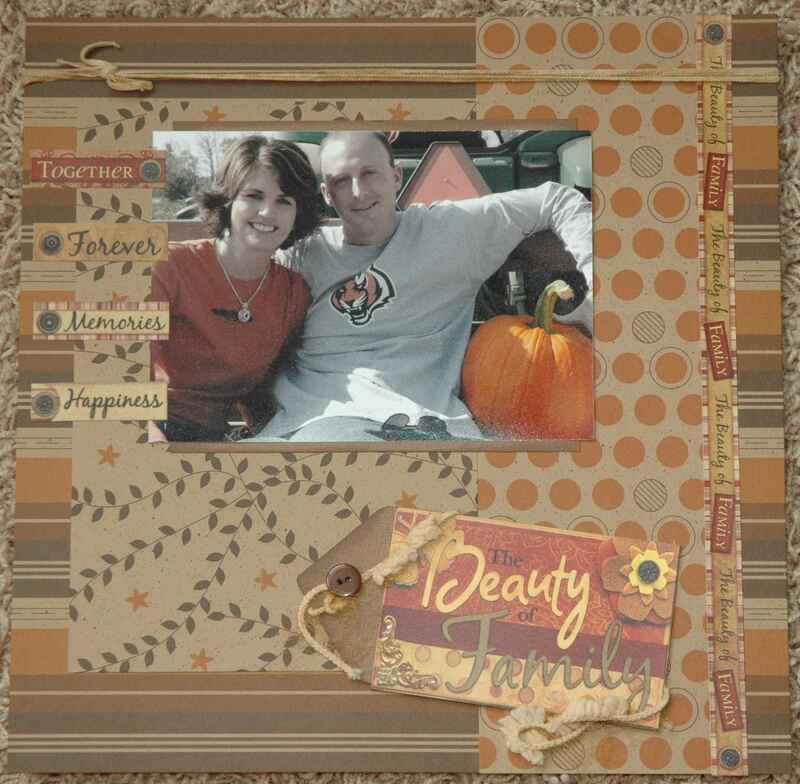 Missey used the Spicy Pumpkin collection for this layout. Great fall layout Missey!! This is a beautiful card that my friend Karen gave to me. Love the glitter in the center of the flower. Who knew they made brown glitter? Karen is better at “altering” than I am. She uses sponges to ink her edges and it definitely makes more of an impact than the Catseyes I use. Karen used the Spicy Pumpkin collection for this as well. This is another adorable card from Jana. I like how she “v’d” the ribbon. I love staples too – I just don’t remember to use them. 😉 Oooh, and there’s some kraft Alphabeans on this card! 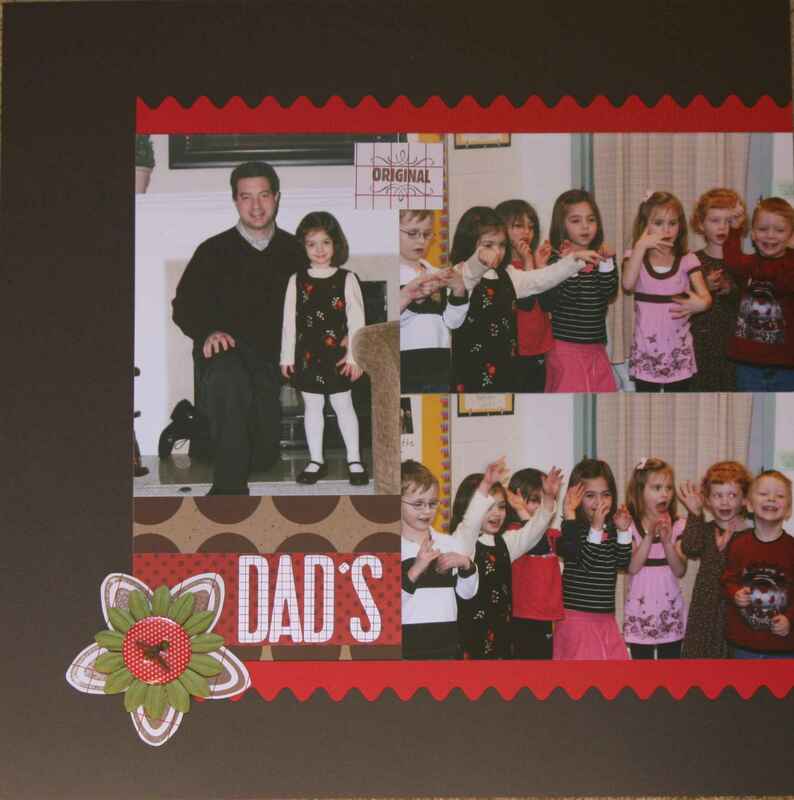 Jana used the Split Pea collection for this card. Thanks for sharing Jana! Thanks ladies!! Hopefully I will get better at posting more sample more often. Soon, you can view more ideas in the “recipes” tab on the website. 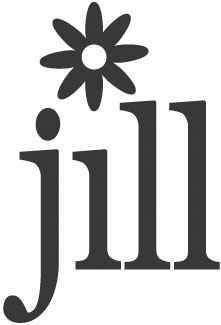 If you have projects you want to share, please feel free to e-mail them to me at jill@jillibean-soup.com. Happy Belated Birthday to Karen!! 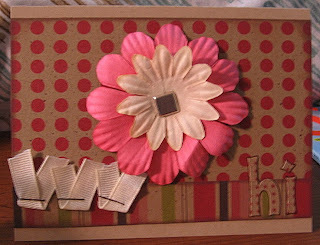 Products include: Jillibean Soup and Bo Bunny patterned paper; Creative Cafe alphabet stickers, Bazzill paper flowers, Making Memories epoxy buttons and the stamp set used is from Stampin’ Up.